Today’s toy is the Kraang in his battle suit. He is from the Teenage Mutant Ninja Turtles Kraang Lab Escape 79100. 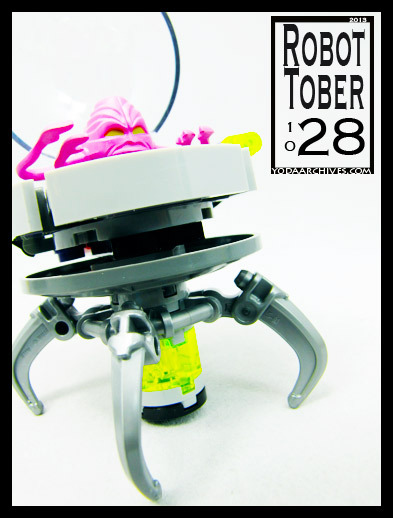 The minifig version of Kraang appeared in this blog back on Oct 7. This entry was posted on October 28, 2013 by Chris. It was filed under Yoda and was tagged with advent calendar, Aliens, comic books, LEGO, robot, robot tober, teenage muntant ninja turtles, TMNT.